YETI Coolers is a Texas-based manufacturer of highly-durable, roto-molded polyethylene ice chests. 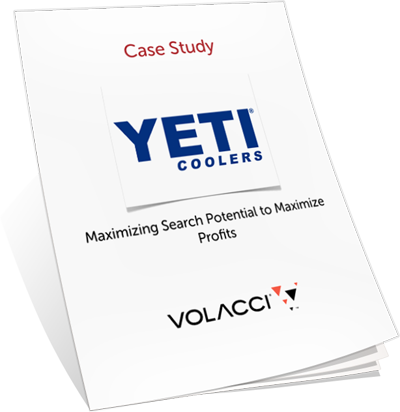 Volacci transformed YETI Coolers' digital marketing for their e-commerce website. Employing a targeted digital marketing campaign, YETI Coolers saw an increase in their traffic by 410%. Their online sales growth rate outpaced the total sales growth rate by 36% over the same period. Discover the strategies employed to get these results and more.